When it comes to taking a stand and supporting cannabis you definitely want to be standing on solid ground and both feet. Professional athletes are starting to voice their support for cannabis. Cannabinoid therapy helps many of them until they are popped by an athletic board. It seems to be okay for athletes to destroy their bodies using dangerous pharmaceutical drugs with proven detrimental side effects but not okay for them to utilize cannabis. Some athletes are helping to change this draconian view and they’re getting help. 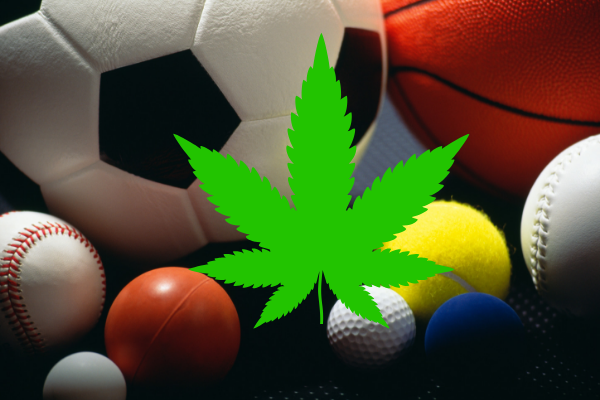 Cannabis is becoming an athletes friend and an option many would choose if they could. Jake Plummer, Lindy Lou Snyder, Eben Britton, Nate Jackson, and Marvin Washington are just a few of the athletes supporting cannabis legalization and activism through A4C. A4C is an organization that survives on support from an estimated 90 athlete ambassadors. These athlete ambassadors are compiled from sports such as lacrosse, snowboarding, mixed martial arts, rugby, tennis, volleyball, football, hockey, and many other disciplines. The donation from New Leaf Canada will help A4C develop infrastructure and expand research and education. Their focus will be health and wellness along with safety topics that are unique to Canada and situations Canadians face. One of the individuals behind creating New Leaf Canada is Ryan VandenBussche. Ryan is a 9-season professional NHL player who played under the likes of teams like the Pittsburgh Penguins, Chicago Blackhawks, and the New York Rangers. Hopefully,, this joint effort between New Leaf and A4C will help athletes everywhere find a little R&R along with a lot of natural healing.